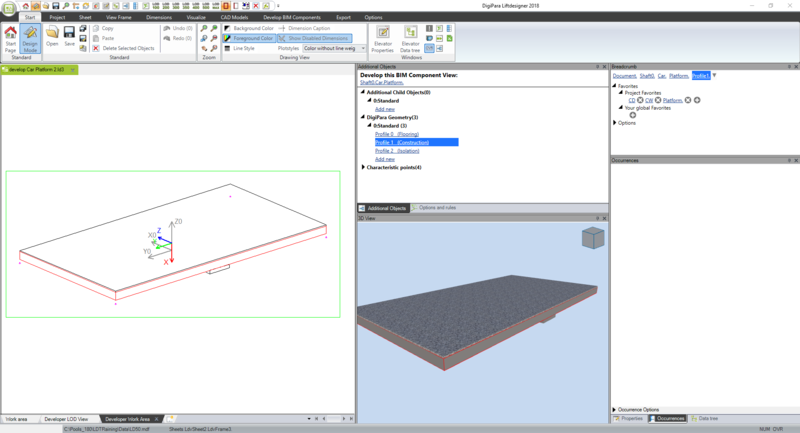 Creating a DigiPara 3D BIM component has never been easier. 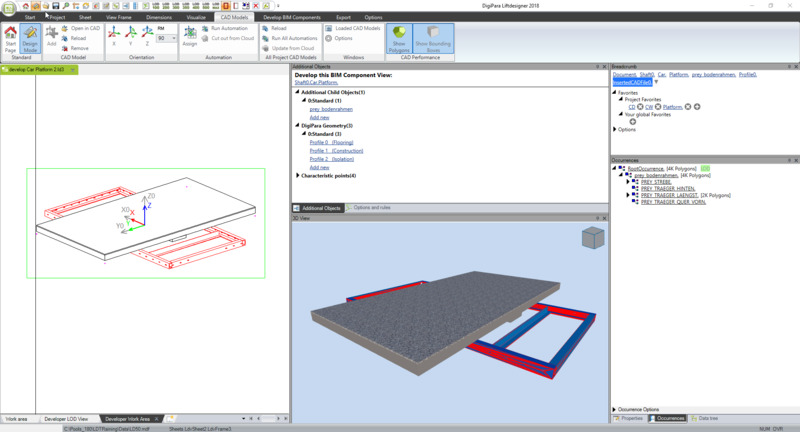 DigiPara Liftdesigner Version 2018 allows you to load a CAD model and to convert it into DigiPara Profiles. This saves a lot of time for the BIM model definition and also reduces the final BIM model file size. Just a few steps required…. In this sample we start from a standard platform as it is existing for a long time. Target is to replace the intermediate construction platform with a CAD model. One of the first steps is to load the CAD model. After it has been loaded, it must be rotated and placed properly in terms of X,Y,Z coordinates. CAD models are usually split into it logical parts (Occurrences). The new function “Convert to profiles” allows users to generate a DigiPara Profile for each Occurrence. 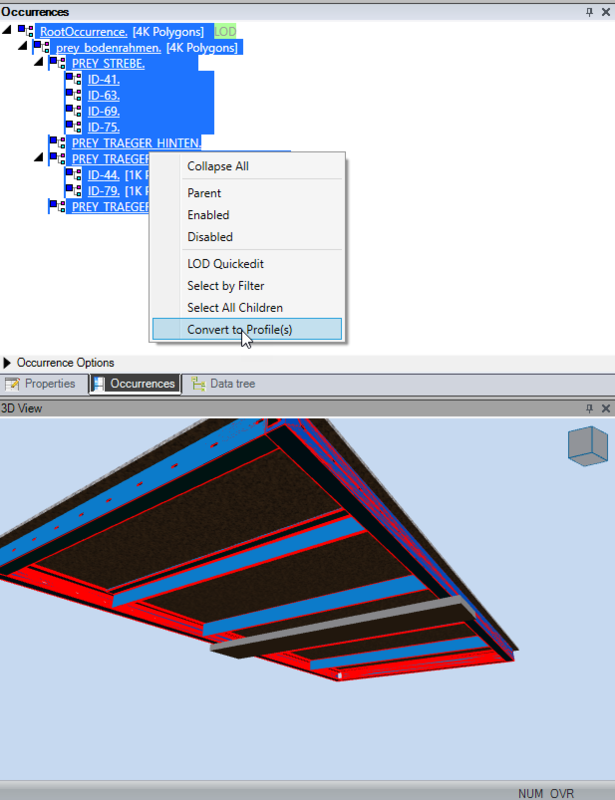 Image: After the CAD platform model was properly placed, use “Convert to Profiles” to generate DigiPara Profiles. 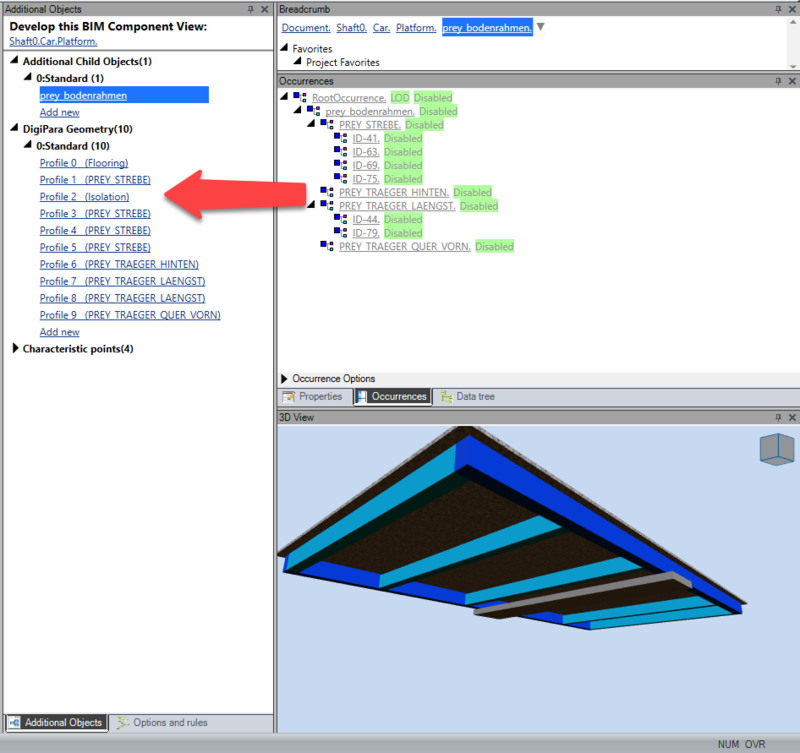 After the conversion is completed, the DigiPara BIM model has a profile for each occurrence. Architects want small elevator BIM models. 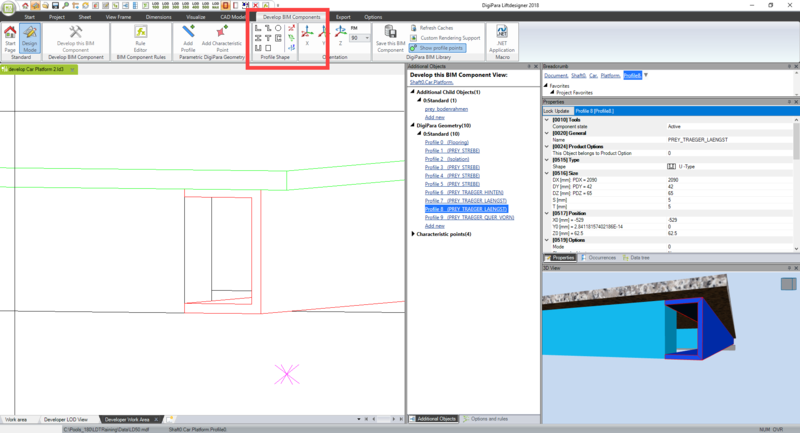 Therefore the CAD model representation has been “disabled” . This avoids a doubled representation and minimizes the final BIM model that elevator companies send to the architect. A new toolbar group allows users to quickly assign the proper profile shape, to get a perfect BIM repesentation by keeping the file size small.